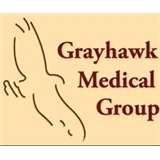 Grayhawk Medical Group (Scottsdale) - Book Appointment Online! Grayhawk Medical Group of Scottsdale offers a comprehensive approach to medical care and wellness for the entire family. We are dedicated to providing superior care and promoting wellness to the Arizona community we serve. We offer a variety of services in a friendly and courteous environment. Our service emphasizes patient care and well being as its highest priority. We believe that this comprehensive approach allows your doctor to provide the best care for your health and aesthetics needs. Helping you look and feel your best is what we do. Our services emphasize patient care and well being as its highest priority. It is our hope that by executing quality healthcare and demonstrating a sincere appreciation for our patients we will go beyond patient satisfaction and create a genuine enthusiasm among our patients.